Remote working is a trend that is on the increase, and as the momentum increasingly builds towards widespread use of agile and flexible ways of working, allied with the digital transformation across society and organizations, with the impact of increasing technological change, the priority increases for companies to engage their remote employees and gain the highest levels of motivation and performance across their talent. This presents challenges and in order to ensure their remote workers are performing at their very best, companies have to address certain aspects. To not do so will leave their remote workers isolated and adrift from the normal flow of the business and removed from the company operation, and that will have a damaging result to the business. A good starting point is to begin by truly considering remote workers as an integral part of the company and to place them on an equal platform to the employees who come into the office every day. Remote workers are removed from the office environment so they need to have an overall picture of their role in the team success. They need to have clear expectations and roles and targets and there need to be regular meetings and check-ins, and remote workers need to be accountable and be part of the overall culture of team accountability. Secondly, consider the remote workers in all that is undertaken around team management and motivation. An example is in team meetings and by creating a dial-in facility for remote workers to participate in the meeting. 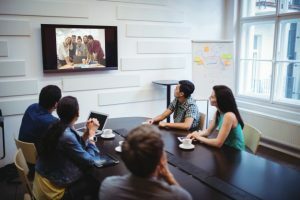 Equally a live session can feature remote colleagues to participate through virtual technology and via dial-in possibilities, in order that all employees are included. Remote workers should also be involved in regular team meetings where the team meets up, and active effort made to ensure remote and office-based employees meet and interact in person at certain points during the year, or otherwise, the remote workers may be forgotten. If there are team activities planned, then the remote workers should be included as well. Try also to keep work activity within a clear set of deadlines and expectations and allow ease for remote workers to report progress and send updates, and avoid endless email chains, which challenge all workers including remote colleagues. Communication is paramount with any remote working group and different methods of communication should also be encouraged within the team, in addition to the normal methods used for office-based employees. So there could, for example, be WhatsApp groups and other social media options for building a chat facility for remote workers to engage within. It is important as a guide to using tools that make communication automatic and easy and aim to communicate more and not less. It is a straightforward business consideration, that the remote workers are key, as are the office-based employees, and companies need the very best performance and engagement from all their employees. To not engage the remote employees, is a fundamental failing which will impact business performance. 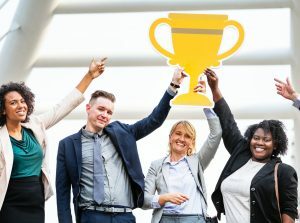 So in this sense companies must also ensure that there is a level playing field of recognition and reward for remote workers, and to give remote workers visibility, and the rewards that go with that, so that all the team can be recognized when things go well. There can be positive and negative team dynamics as a result of remote working so it is important to harness remote working positively and embed deeply and deploy mitigation strategies to deal with any negatives. Well-being priority and headlining is an important part of keeping the positive virtuous circle, and it is valuable to explore the benefits of mindfulness and other related options. We have discussed how the workplace is evolving and how remote workers are an integral element of the workforce, and in turn, the workplace becomes more people-centric, and those organizations that support the wellbeing of their employees will be more likely to deliver higher performance, and retain talent, and compete strongly to acquire great talent. Developing a culture of agile and flexible working is also vital to getting the very best out of remote workers. If the organization can see the task within its guidelines but without boundaries as to how it is achieved, and be comfortable with offering employee choice as to where and when they work, then the focus then moves from attendance and time to performance and the results achieved,and a culture can develop that focuses on removing the barriers to effective working. As a result, remote workers are no longer on an island, and part of an integrated team that achieves results with ultimate flexibility and lack of constraint. The organization can also become an exemplar with a deep culture of agile working, not only getting the best from all employees, including remote workers, and also greatly increasing commitment with the ability to attract the best talent. In summary, keeping remote workers happy and engaged is now a priority for organizations, in a rapidly changing and evolving workplace environment, and following these six key steps and putting those in place, will allow those organizations that achieve that goal, to gain a competitive advantage and deliver business success. 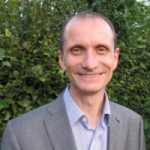 Kevin Lyons is Senior HR at Pearson in London, the FTSE100 organization and the world’s learning company. Kevin’s passion is Talent, and what he sees as the twin pillars of Talent Management, Diversity & Inclusion combined with Learning & Development, combined with his interest in Wellbeing. He is also fascinated by the impact of technology on HR and wider society. Kevin has a career spanning Human Resources in leading companies and is a regular voice and commentator in media with his views regarding Human Resources.